There's an extraordinary love story hidden in the pages of one of our new Irish record sets, the Dublin Registers and Records collection. A story about passion, loyalty and patriotic sacrifice for one of Ireland's most memorable heroes. In the summer of 1785, the 22 year old Theobald Wolfe Tone married draper's daughter Martha Witherington. She was only 16. Theobald rechristened his wife Matilda. They were married by curate Edward Ryan on July 21st as you can see in the Marriage Entries from the Registers of the Parishes St. Andrew, St. Anne, St. Audoen, & St. Bride 1632-1800. The marriage would not be long lived, but Matilda would make sure that her husband's name was remembered for generations to come. Wolfe Tone was one of the key figures in the United Ireland rebellion of 1798. Born in Dublin in 1763 his family was descended from French Hugeunot settlers to Ireland. The son of a coach maker who kept a farm near Sallins, County Kildare, Wolfe Tone studied law at Trinity College Dublin before going into politics. 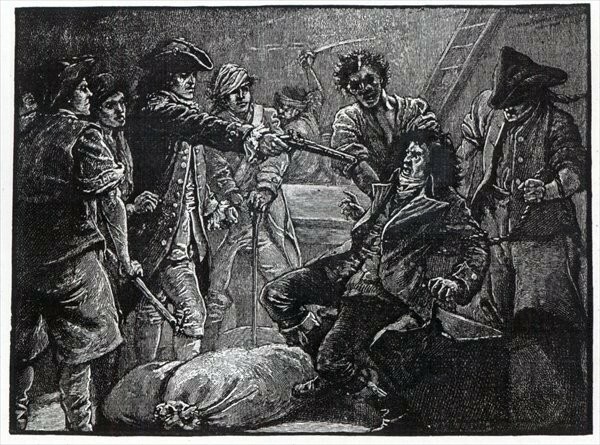 The United Irishmen were inspired by the revolutions in France and America to fight for an Ireland free from English rule where Catholics, Protestants and dissenters lived together in peace. Wolfe Tone appealed to the French to aid Ireland in her fight and set sail with a French fleet to bring men and arms to Ireland in 1796 but storms, indecisiveness and poor seamanship prevented a successful landing. The rebellion finally arrived in the summer of 1798. On May 24 rebels attempted to take Dublin and the surrounding counties but were quickly suppressed. The rebellion spread to Wicklow, Antrim, Down, Wexford, Kilkenny and Meath but was unsuccessful. 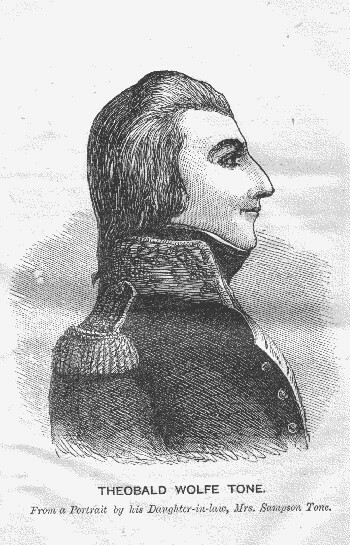 Wolfe Tone was captured in Buncrana in Donegal in October 1798. He was executed in the Provost's Prison in Dublin not far from where he was born. 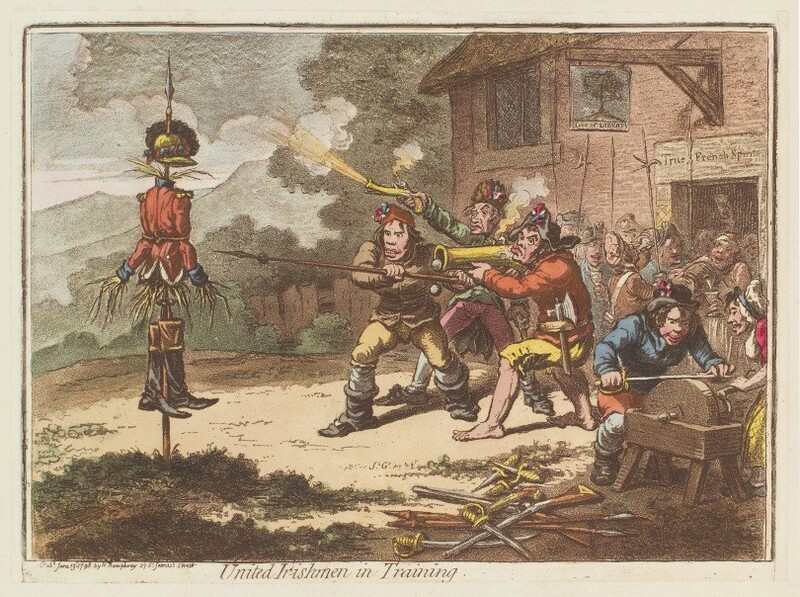 In the aftermath of the fighting the British authorities offered compensation to those who remained loyal to the crown, who had suffered damage to property in the fighting. They also offered special terms for those who surrendered willingly. You can find a list of names of both those who applied for compensation and those who surrendered here on Findmypast in the 1798 Claimants and Surrenders records. The authorities came down hard on those who had fought against them and sometimes took great efforts to secure a conviction. You can see evidence of one attempt at stacking the deck in our England and Wales, Crime, Prisons and Punishment collection. Contained in the miscellaneous criminal books of National Archives reference HO 130 is the case of Rex vs O'Cioghly and others. Father James O'Coighly was a United Irishman from Loughgall in County Armagh. The records show the selection of the jury for his trial, with panelists obviously selected based on their political sympathies. One man was rejected for being clearly sympathetic to the United Irishmen's cause. Matilda Tone left Ireland after her husband was executed. She was only 23 and the mother of a young son. She moved to France and then on to America. It was there, in 1826 that she saw to the publication of her husband's autobiography and correspondence. Matilda worked to keep her husband's legacy alive until her death in 1849.